Yes, you can design a garden for free! Everyone has some creativity. So just say it: ‘I’m going to design my own garden!’ Believe me; with all the information on this Design Gardens website, you have everything you need to design your own garden and do the landscaping. Let’s put the concept of design a garden for free in the right context. There is no miracle get a free garden overnight. Realise upfront that going on this quest to design a garden, will require time and effort on your part. Oh yes, quite a bit of time and effort, but that can also be fun. Review different landscaping ideas and styles by going to our Landscaping Ideas page. Complete the review before you start with the actual design a garden for free process. This will save you time in the long run. The design a garden for free process requires you to complete all the steps as outlined. The steps are described briefly on this page so as not to waste your time on things you already know. Should you need more information on any subject, just click on the help links! You need a plan of your current garden on which to design garden a garden for free. Start by drawing the garden boundaries and the outlines of the buildings. Remember that it has to be to scale! (Click for help). Plot the position of doors, windows and any other services that could have an effect on your garden design. Your water supply will influence your irrigation system design. Likewise the availability of a power point will determine your garden lighting design. Measure any changes in ground level and draw the corresponding contours on your plan. Changes in level can be measured by looking at steps, differences in garden fencing panels, or by more advanced methods, or by a combination of methods (click for help). Changes in level will affect the placement of hard landscaping items in your garden design. The need for cutting and filling, or correcting drainage problems, can incur large costs. This is contrary to your, design a garden for free concept, right! Analyse your soil( click for help ). Determine the pH and soil type. Soil is classified as sand, silt, clay or loam. Also dig an inspection hole to determine the depth of your topsoil. The quality of the soil has an influence on the types of plants that will thrive in your garden. Now revisit your choice of garden landscaping style and ensure that its plants are compatible with your soil. Determine the orientation of your garden site (click for help). Use a compass to determine the orientation (or use your scouting or guides skills :-)). Record this on your site plan. This aspect is important for the correct positioning of items relative to the sun’s movement. Make a note of good and bad views from your garden. Lastly indicate the direction of the prevailing wind on your plan. You are now ready for some decisions! Make a list of all the things and elements you would like in your DIY garden design. List them in order of preference. Look at what is in your current garden. Are they compatible? What can I retain in my garden design? What must be removed? Try to minimize the removal or repositioning of large items. 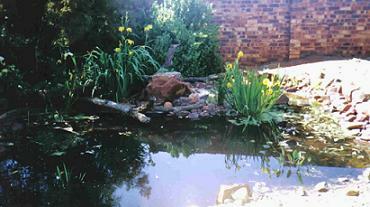 These activities will incur costs, but you want to design a garden, for free remember! Design your own Garden and Draw it. If you have not done all the above, please go back and do it. If you leave anything out your design a garden for free effort will turn into a nightmare! I believe that it is vital for a designer to produce a drawing of the garden design that is workable and understandable. Having a drawing of your garden design keeps you on track. It keeps you focuses and gives you direction. When travelling you need a map to get you to an unknown destination Likewise you need a drawing to direct your path and to keep you from drifting from your garden design theme and style. A drawing done well will inspire you to keep to the design when you finally landscape your garden. You will draw three different plans as you progress through your garden design, i.e. a concept drawing, an outline drawing and a final plan. The final plan must contain sufficient detail for your DIY needs. Develop your own techniques. After all you will be reading your final plan. Choose your colour, theme, style and scale and stick with it throughout your design a garden for free phase. Design your own garden by first doing a concept plan. This is a plan of all you desires in the form of a rough sketch. Try and visualise what you want, then put it to paper. Do a few concept plans and select the one that most appeals to you and your family. Next draw a basic outline plan. This plan consists of all the objects, materials and subsequent plants in their right places. All things must be drawn to scale, but not in great detail. Your design a garden for free will now take shape, and you will be able to move things to their correct positions. 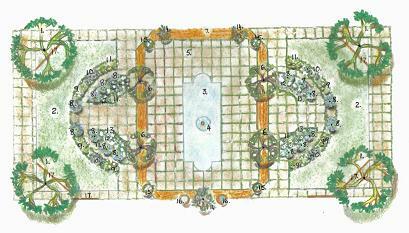 The final and detailed plan contains a key to understanding the garden design. Everything is drawn to scale. Plants are their full grown correct size, and spaced correctly. It is advisable to check the height and spread of each plant. Plants must be zoned in the correct areas where water and sun requirements are similar in need to that of other plantings. All the plants have been selected, and are listed by name. Your final plan must be sufficiently detailed. Don’t leave anything out. This is what you have accomplished in your design a garden for free effort. Yes, go and show and tell everybody: I told you I could design my own garden, look here! Photo copy your final design and have it laminated. This will make it waterproof and perfect for use during the building of your garden. Now you can’t wait to get into the garden! You just have to start right away, don’t you? The following steps will help you in the execution phase of landscaping your new garden.